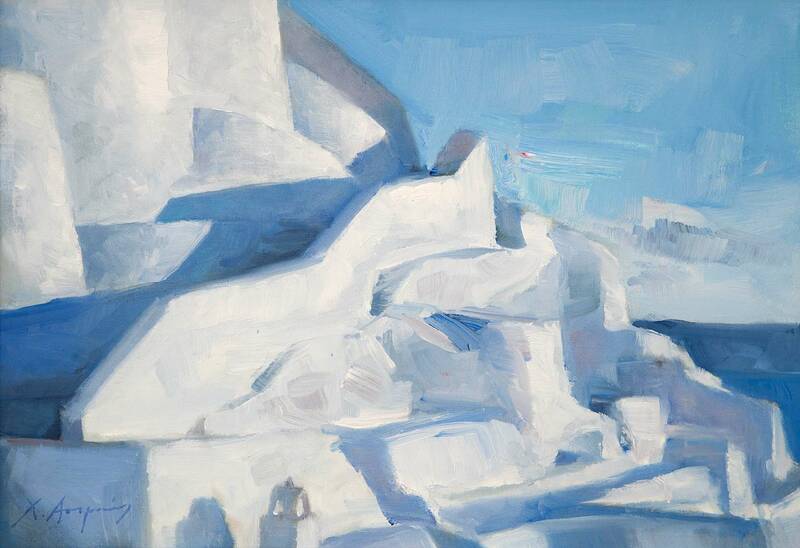 This is a permanent exhibition which takes place at all four AK spaces and includes a selection of oil on canvas works created between 2000 and 2104. 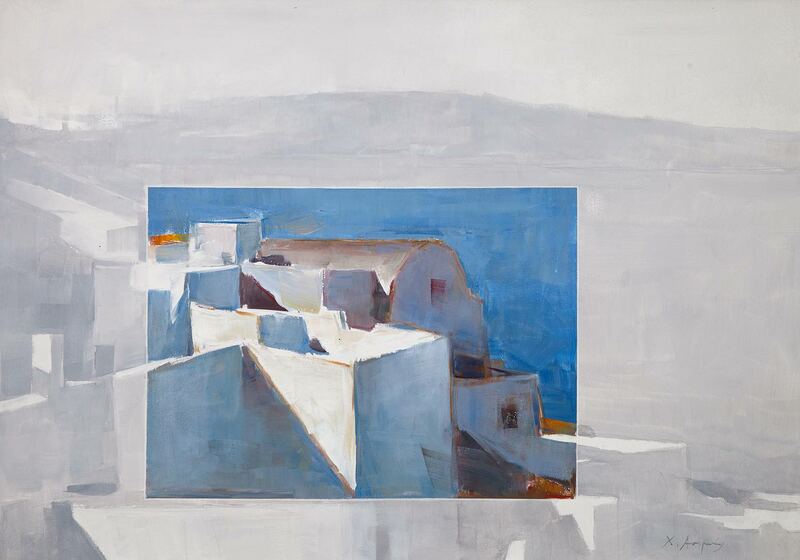 The exhibition depicts landscapes and more abstract compositions inspired by the natural environment, the architecture and the light on Santorini Island. 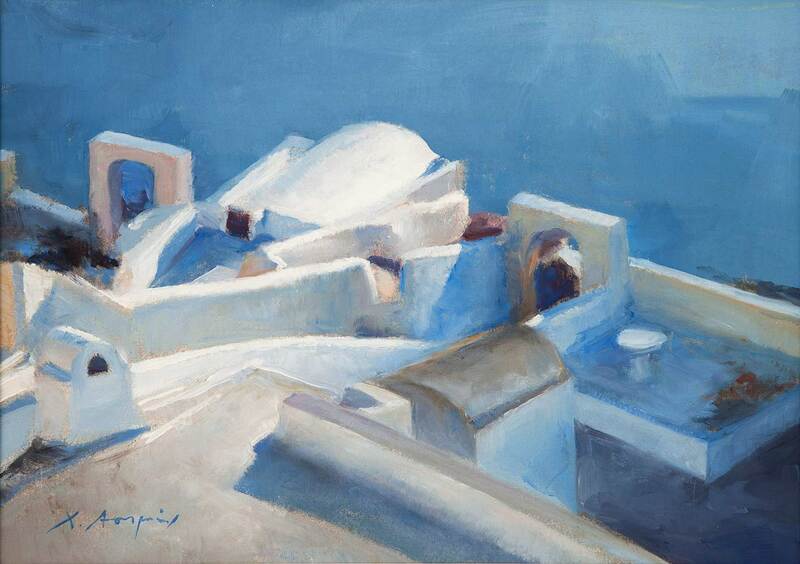 Christophoros Asimis has produced the most outstanding expressions of his creativity during the last two decades. 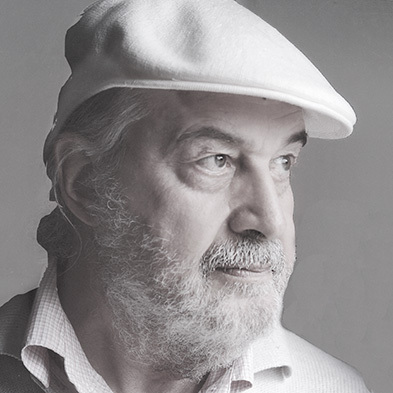 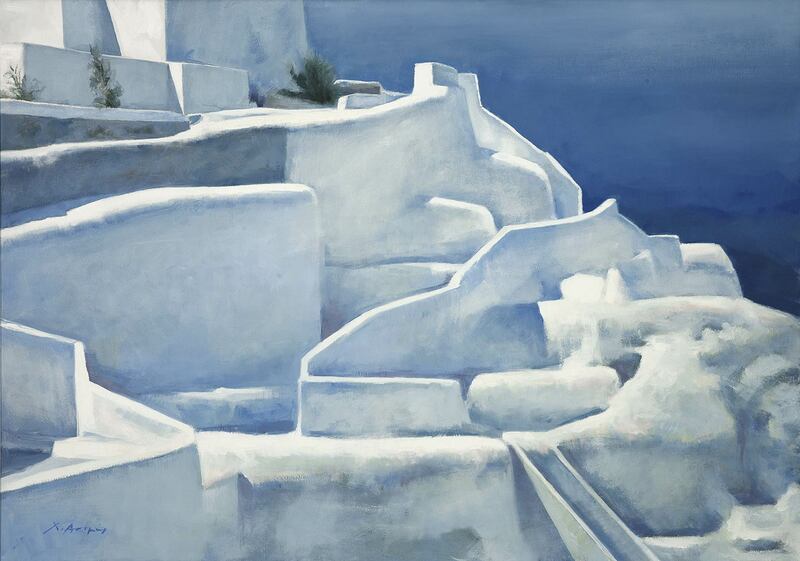 He has been established internationally as the artist who depicts the Cycladic light in the most authentic manner, and this exhibition demonstrates the powerful marriage of form and colour in the paintings, which explore with immense sensitivity the passage of the light through the Santorinean landscapes. 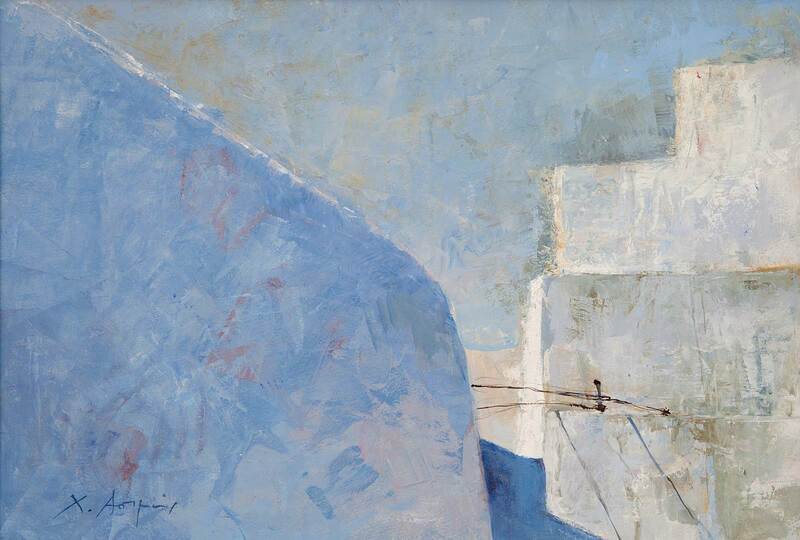 Christophoros Asimis is insistent about examining colour and light, as well as how these can illuminate the morphology of the superb architecture and the exquisite sights of the island. 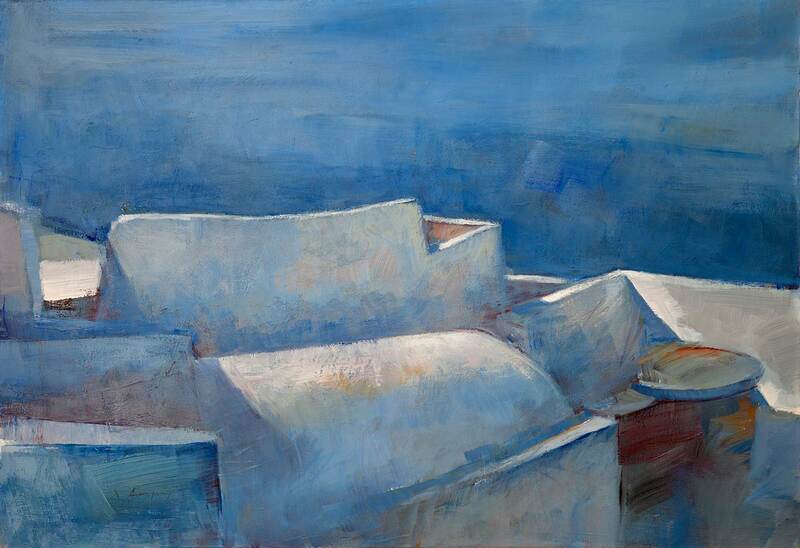 For the last 45 years, he has been negotiating the different ways in which painting can express this magnificence. 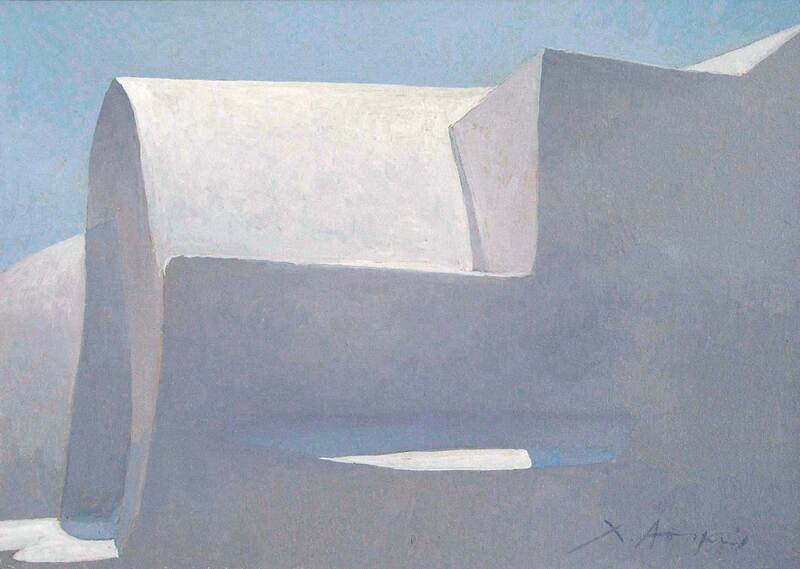 The astonishing variations that only the Greek sunlight can exhibit, combined with the plasticity of the Cycladic architecture, provide fertile ground for artistic investigations, which the artist exploits with the utmost maturity and substance. 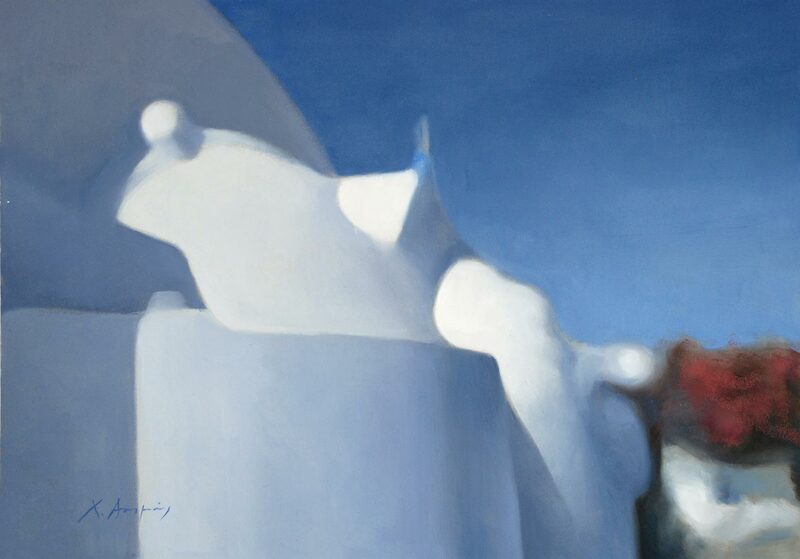 The single forms and plexuses of forms which make up the Santorinean landscape are transformed into games of colour and shading of universal impact. 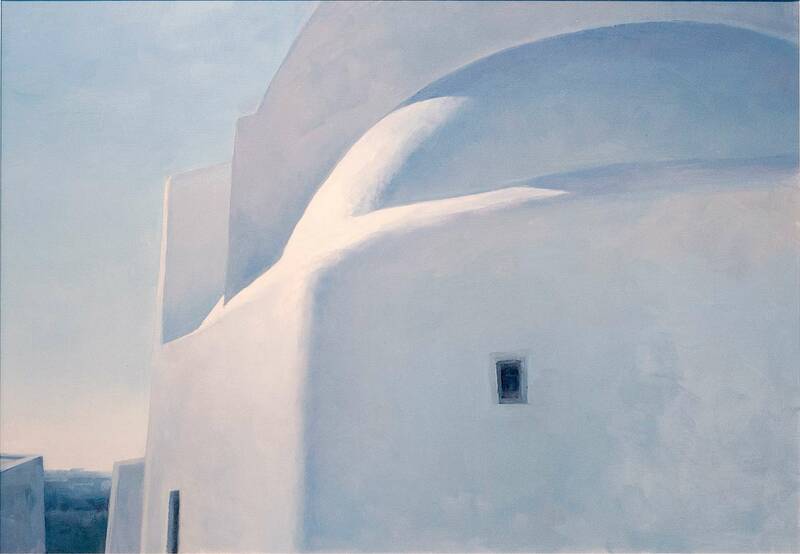 The natural Santorinean stage exerts such a magnetic pull internationally due to its simplicity and the sheer beauty of its architectural structures. 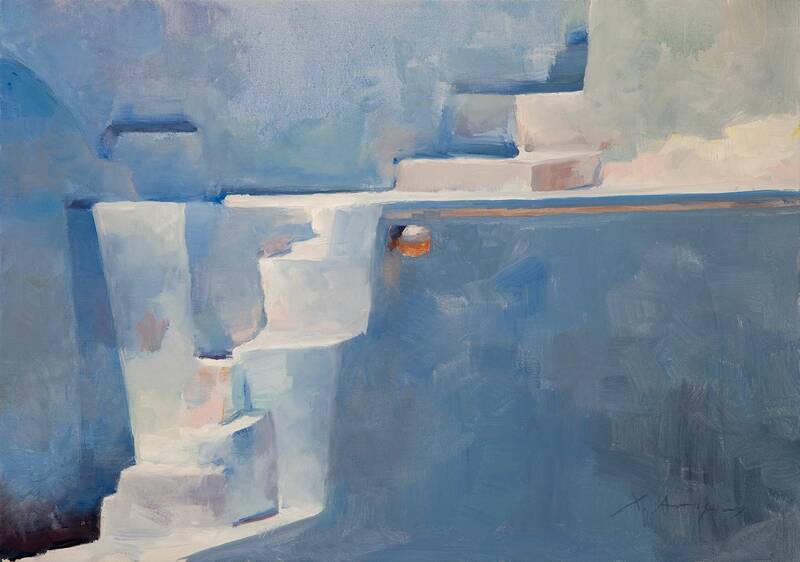 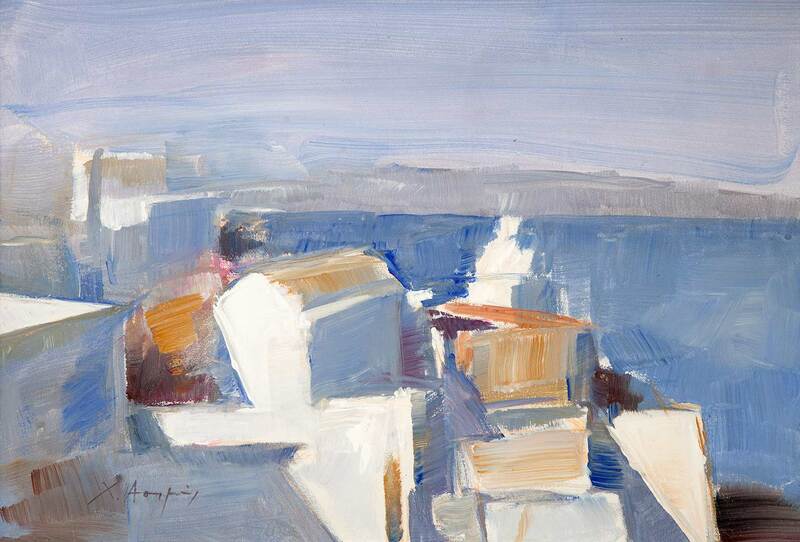 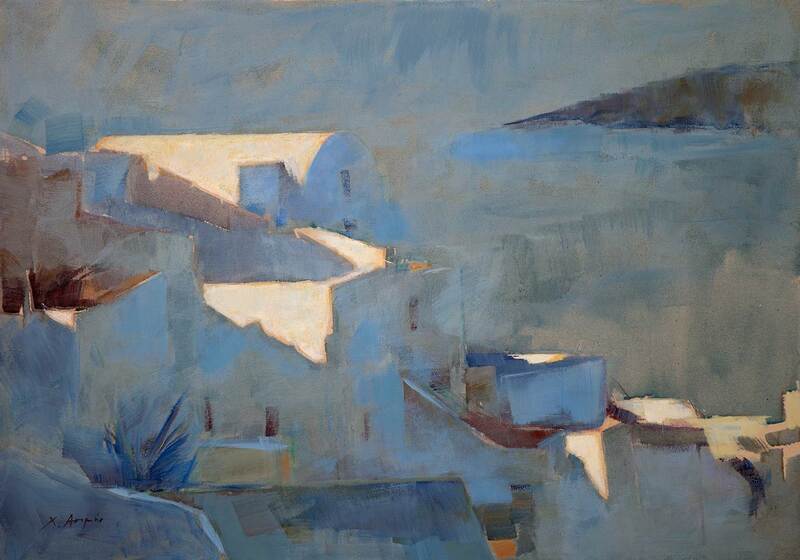 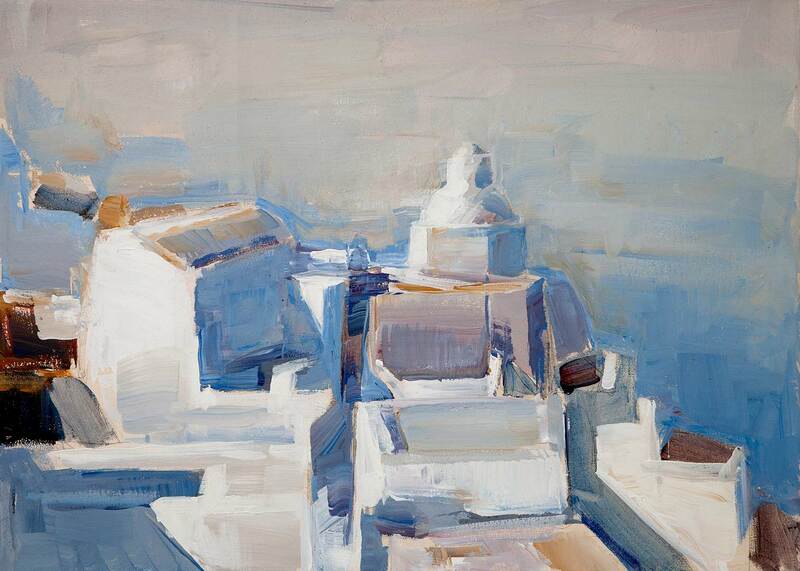 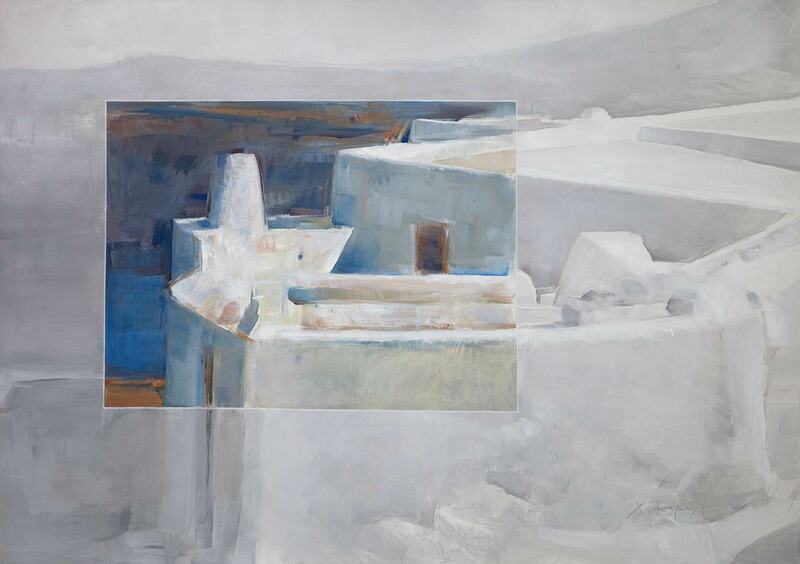 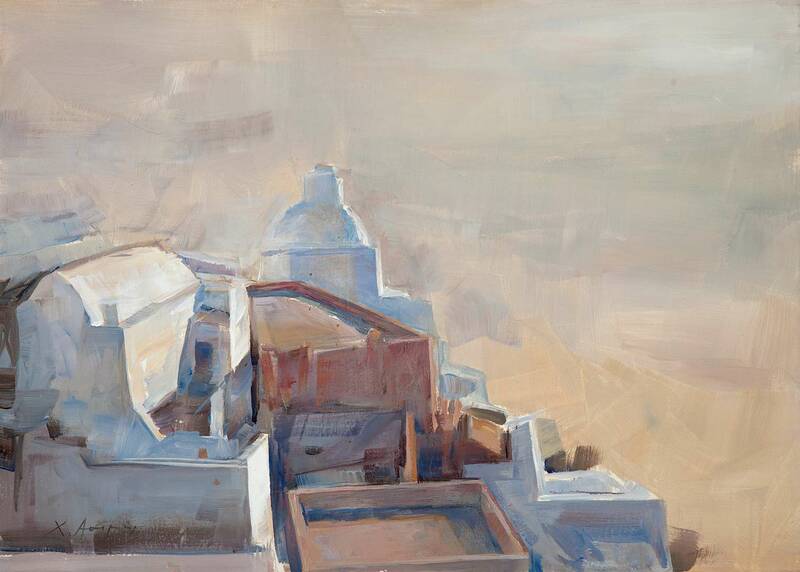 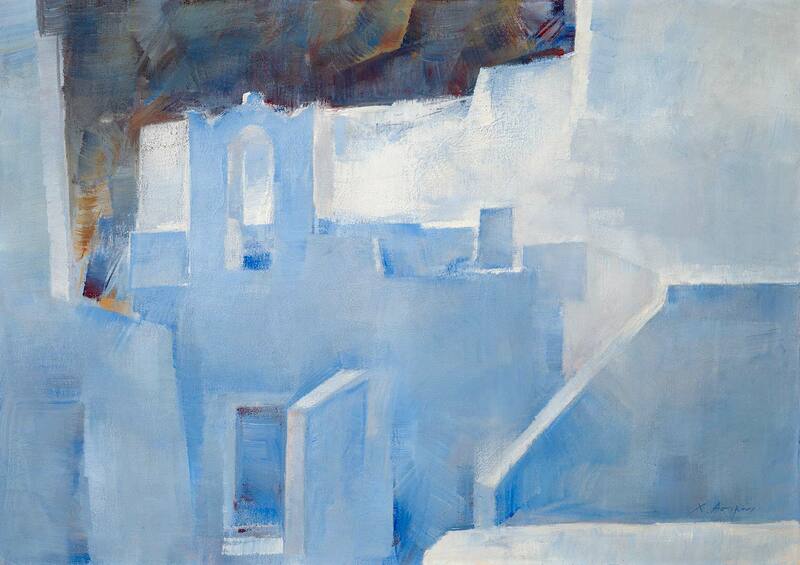 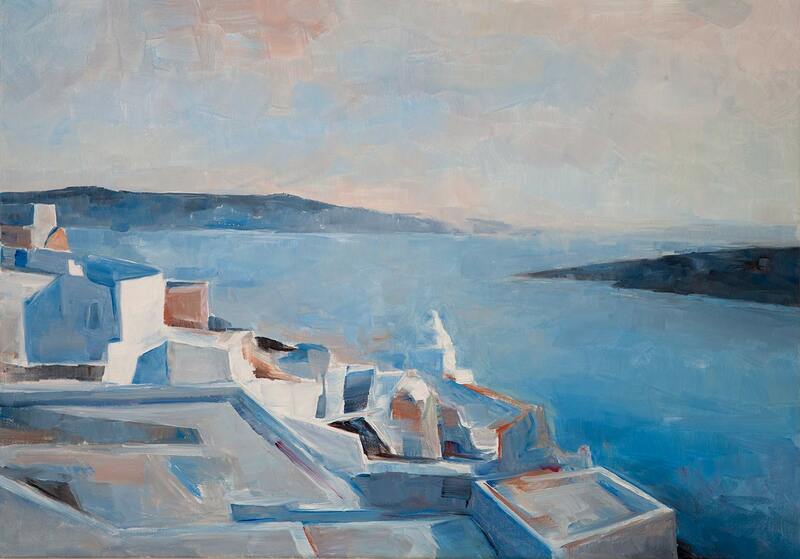 Christophoros Asimis’ work examines the diverse features of these elements and his interpretations follow a number of different directions, from peaceful formalism to forceful expressionism, and thus engender a complete rendering of Santorini as a purely visual entity.